Back end: Ruby on Rails, PostgreSQL. 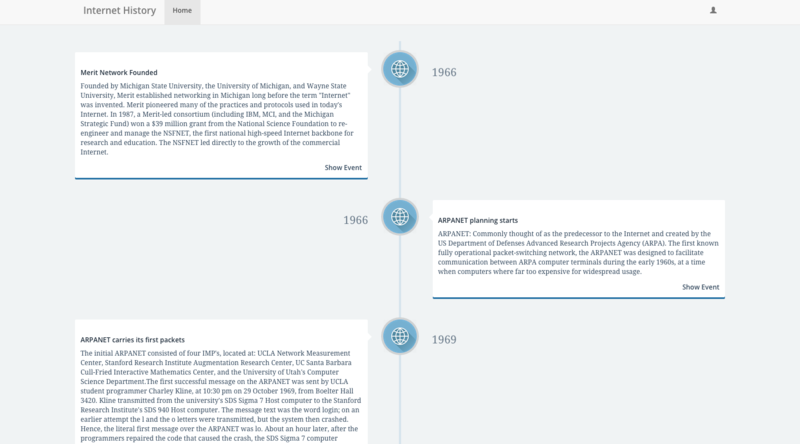 This app is a timeline of the history of the internet. From its beginnings in 1966 up to present day this website displays important events and popular websites of the year. This project uses HTML, CSS and AngularJS on the front end, Ruby on Rails on the back end with a PostgreSQL database. View this project live here. Please note: The back end is hosted for free on Heroku and may take a few moments to load.